Alot of images this time, but I really couldn't choose what to show of the beautiful work of the British artist Emily Jo Gibbs. 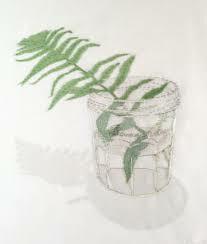 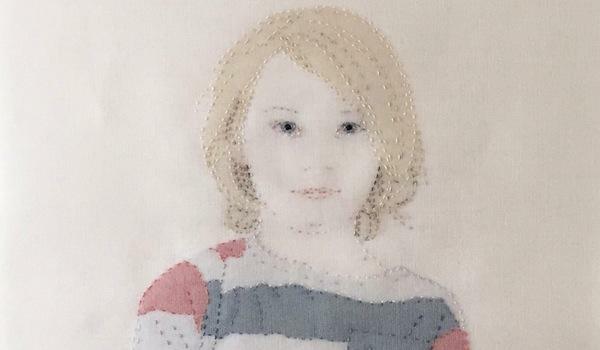 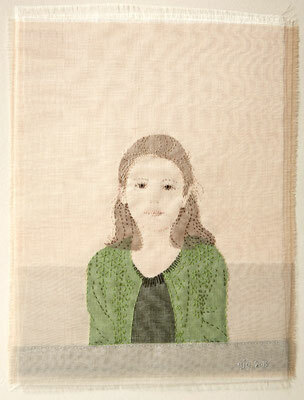 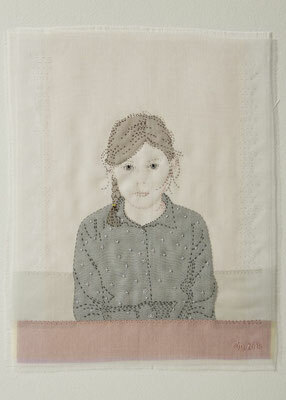 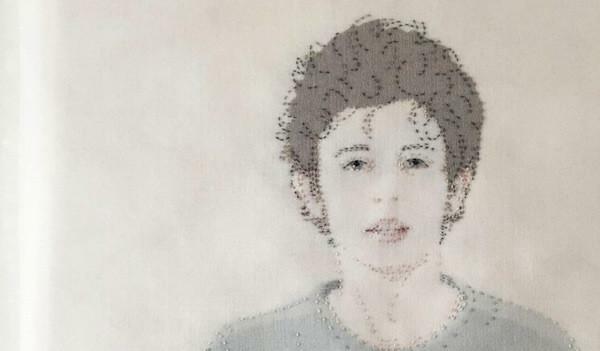 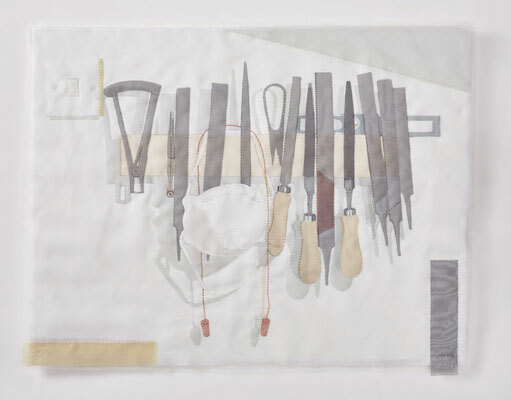 Gibbs creates her work by embroidering silk organza onto linnen. 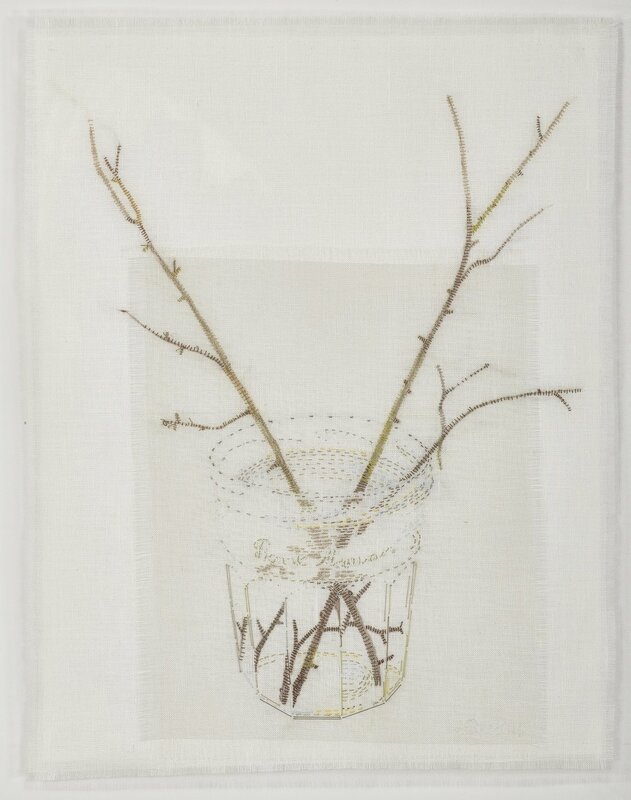 I have extra reason to be interested in Gibbs' work, as for two years now I have a little project going with writer/friend Anke Kranendonk, where we exchange 'letters' that are embroidered, knit, or otherwise crafted. 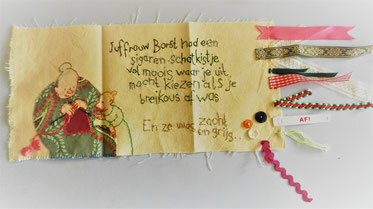 Above is an example of one of my 'letters', an ode to my first needlework teacher. It is not as dreamily refined as Gibbs' work, but stems from the same love for the material.